This spaghetti al ragu recipe is honestly my entire childhood on a plate. It is a treasured family recipe that I have always praised, and have at long last managed to persuade my step-father to allow me to share. 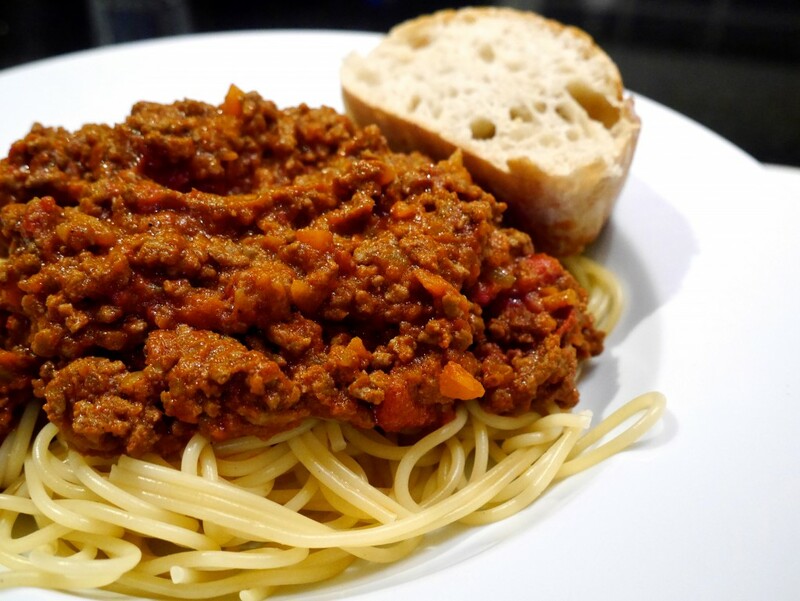 I know that everyone think’s their mum’s or family’s spaghetti Bolognese is the best that there is out there, but I challenge you to the title; if you make this recipe and still believe that yours is better, I will happily meet with you for a “ragu-off” and bow down to you if you win me over. That is how much I believe in the power of this recipe! Plus, my friends have always vouched for it too. 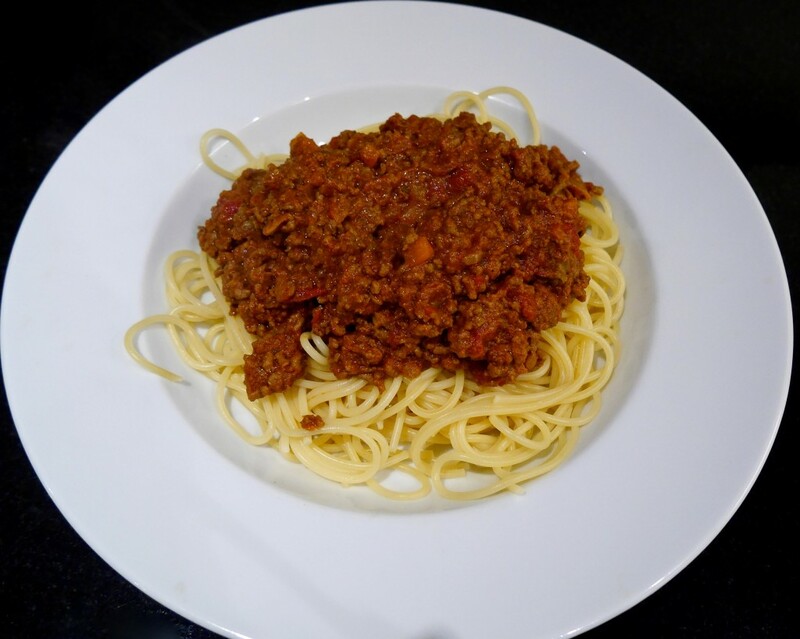 The secret ingredients of The World’s Best Spaghetti Bolognese are the white wine & full-fat milk (which, by the way, almost entirely evaporate so you don’t need to be concerned about your alcohol or calorie intake! ), and the key is to cook it slowly over a low heat for many hours. The result? A rich, creamy, silky smooth ragu that you could eat all on it’s own until there is room for no more. Every time I make this recipe I make a huge amount so that I can freeze it for a quick, unbelievably delicious dinner whenever I fancy it but, to be totally honest, I usually only end up freezing 1 or 2 portions as I can’t resist slipping another spoonful every chance I get. I know it might be hard to believe that this recipe could get any better, but it is also incredibly fast and easy to prep… you just need time on your side to allow it to bubble away for a few hours & give the occasional stir (and taste test!). You can serve it with spaghetti to achieve a true classic that both you and your lucky diners will rave about until the end of time, or courgetti (Courgetti Bolognese) for a super healthy carb-alternative. 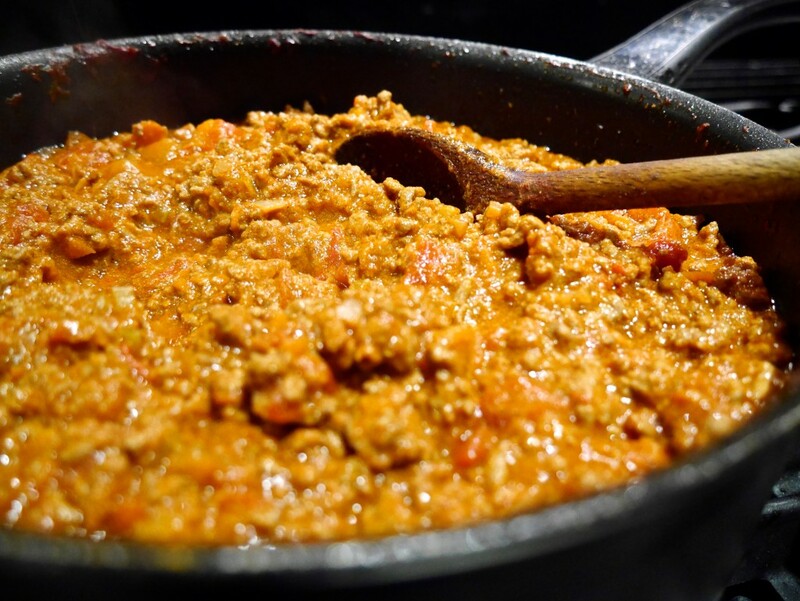 Both bases are equally delicious and it really depends on your mood and whether you fancy something lighter or heavier, as nothing can retract from the flavour of the ragu! Bon appétit! Settle in by the fire with a glass of red & prepare to enter food heaven! Finely chop the onions, carrot & celery. Add the olive oil & butter to a deep frying pan and place over a medium-high heat. Add the onions to the frying pan and sauté until they turn a light golden colour. Add the carrots & celery and continue sautéing until they change colour. Add the minced beef and a large pinch of salt & stir until all of the meat has browned. Add the wine & stir occasionally, until it has completely evaporated. Once the wine has evaporated, add the milk and nutmeg & stir occasionally, until it also has completely evaporated. Once the milk has evaporated, add the chopped tomatoes & stir. Once the tomatoes begin to bubble, turn down the heat to very low and allow to simmer uncovered for at least 3 hours, stirring occasionally. (Add water if/when the ragu absorbs all of the liquid to prevent it from burning. You can repeat this many times; it is better to add little and often than add a lot at once). Once the ragu has been cooking for several hours and has reached its desired rich, creamy, silky smooth consistency, prepare your “base”. Place a saucepan of water over a high heat and wait for it to boil. Once the water is boiling, add the spaghetti, a splash of olive oil and pinch of salt, & boil for 10 minutes. 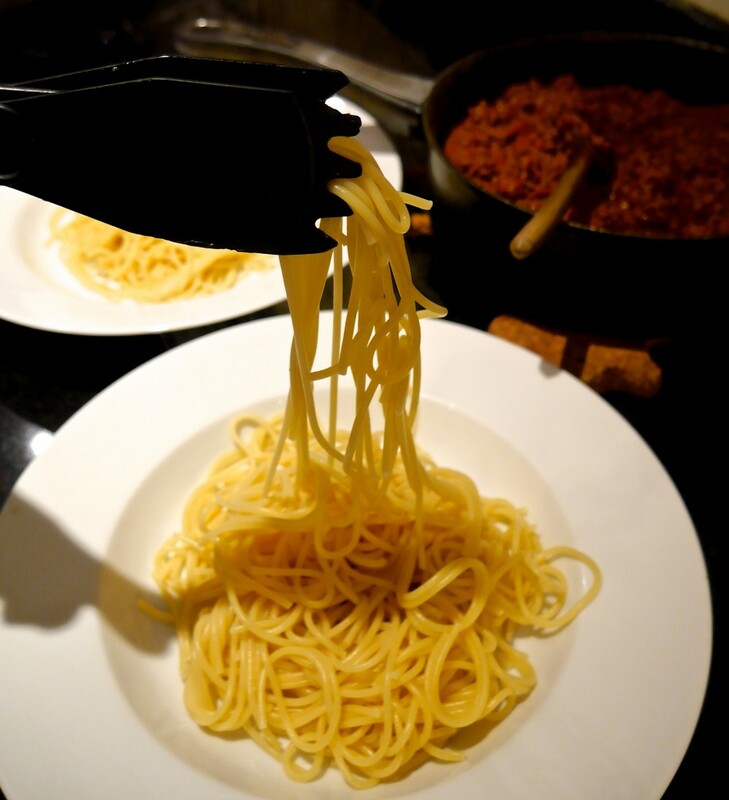 Taste the spaghetti to check it has softened to your personal taste and, once it has, turn off the heat for both the spaghetti and ragu & plate up. Amazing. Best bolognese I’ve ever tasted by a country mile! A must try recipe!